Investing in non-oil industries in Nigeria could enable the country to become more competitive and attract investment, a United Nations agency said on Wednesday. In a press release, the United Nations Industrial Development Organisation’s (UNIDO) Investment and Technology Promotion Office (ITPO) has initiated a program that aims to reduce Nigeria’s long-standing dependence on its oil industry by attempting to promote diversification as well as investment and technology in the country’s non-oil sectors. The initiative is expected to include government institutions as well as numerous associations from the private sector, including financial institutions. The UNIDO has held several consultations with a wide variety of members from these organisations in a bid to “fine-tune” the strategic orientation of the program. High-level managers in particular stressed the need to focus on MSMEs (Micro, Small & Medium Enterprises) as well as emphasis on the development of female entrepreneurship. UNIDO ITPO Nigeria is the first office of the ITPO global network (which includes the likes of Italy, China and South Korea) to be established in Africa. It enables private and public stakeholders to increase the competitiveness, diversity and investment in Nigeria, as well as countries in the Economic Community of West African States (ECOWAS). Brent Crude Oil has been trading below $50 per barrel over the last month and a half, a level that many oil producing nations other than Nigeria (such as Saudi Arabia and Kazakhstan) are trying to adapt to. It has been reported that some large hedge funds that punted on a major oil price recovery in the first half of 2017 have shed over 40% in value after their predictions failed to materialise. 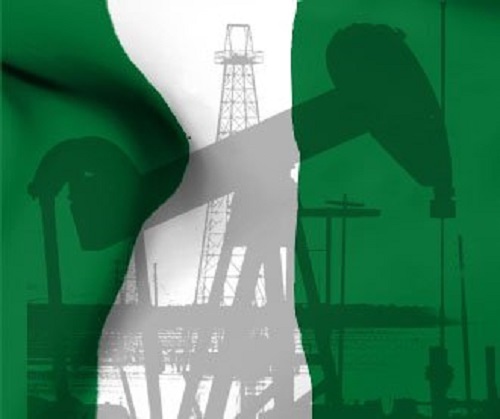 Expectations of a rebound dampened severely after Nigeria and Libya were granted exemptions to oil production quotas due to civil strife in both countries. Alongside ratings agencies expressing their concerns about Nigeria’s oil industry, Morgan Stanley Capital International (MSCI) are currently exploring the option of stripping the African powerhouse’s “Frontier Market” status and reducing it to a “Standalone Market”. If this happens, then Nigeria will witness even more outflows and a reduction in investor confidence, which will only add to the current economic and political problems that the country is dealing with at this present time. GDP growth predictions are still on the upside, yet lackluster. On a slightly more positive note, Nigeria stock market has boasted major improvements compared to last year, culminating in the country becoming the top performing Frontier Market in May as well as the fourth best performer in the first half of 2017. Strong performances from companies in the finance and pharmaceutical industries filtered through into the market’s overall upbeat showing for the year.